Governor C.L. "Butch" Otter stands with former governors Phil Batt and Jim Risch as an Honor Guard salutes Cecil Andrus. Former Andrus senior staffer Marc Johnson led the ceremony inside the statehouse. Governor Butch Otter – who was the Republican Lt. 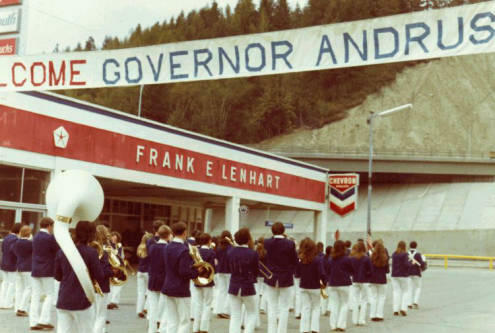 Governor during the Democrat’s final two terms in office – recalled memories of working alongside Andrus. Otter says Andrus was able to take the long view in politics and work with people he disagreed with. Former Republican Gov. 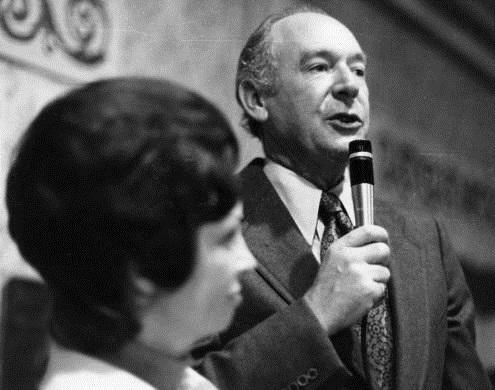 Phil Batt pays his respect to Cecil Andrus, his old friend across the political aisle. 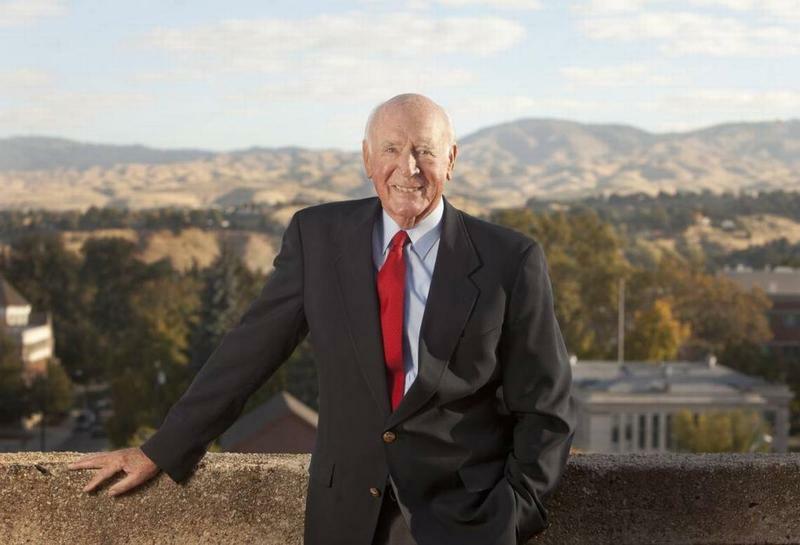 Former Republican Governor Phil Batt – who is 90 – spoke about his bipartisan friendship with Andrus in politics and the time they shared later on the golf course. “We demonstrated with many others that you don’t have to be from the same party in order to get results,” Batt says. 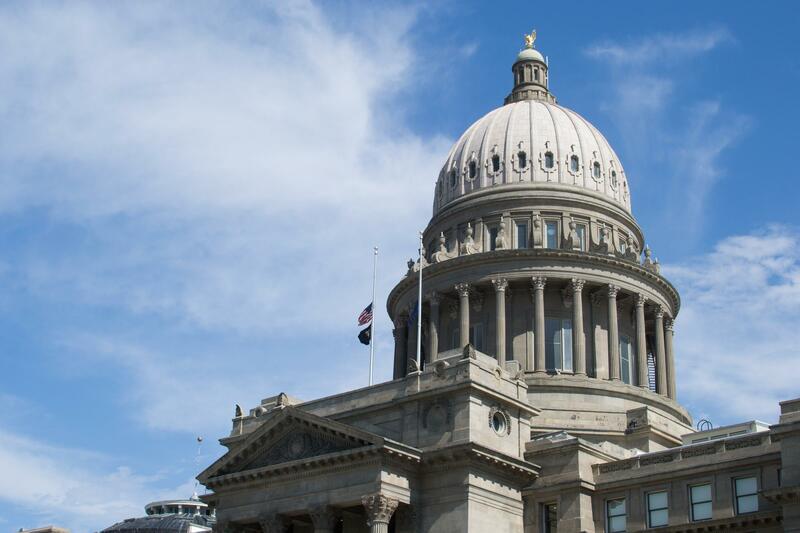 Andrus was the first Idahoan to serve in a presidential cabinet and the only governor to serve four terms in the state. After the governors spoke, Boise Mayor Dave Bieter made an announcement to Andrus’ family members – who were seated just feet away from his casket. 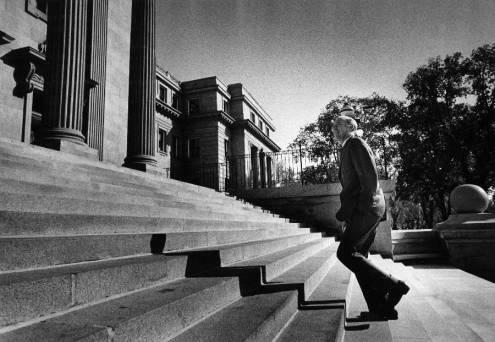 “From now on and it’s my pleasure to announce, that Capitol Park, which is owned by the City of Boise, be renamed Cecil D. Andrus Capitol Park," said the Mayor. 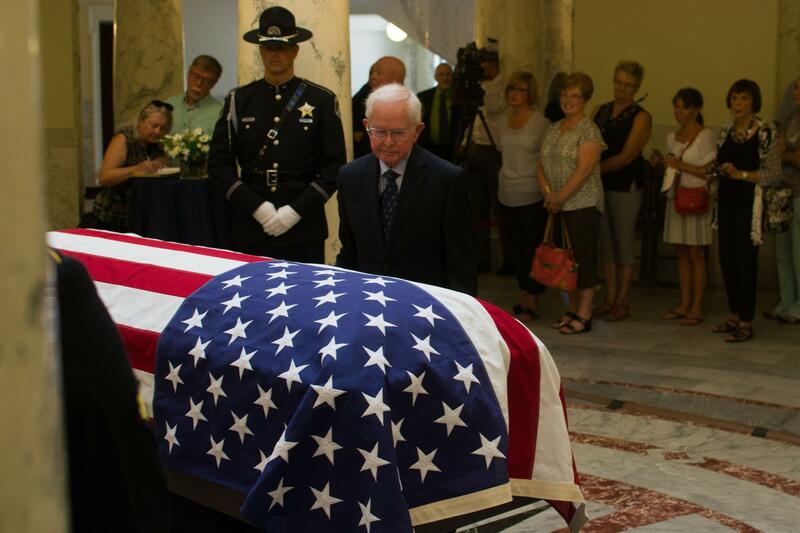 For those who want to pay their respects to Andrus, he will lie in state until noon Thursday. 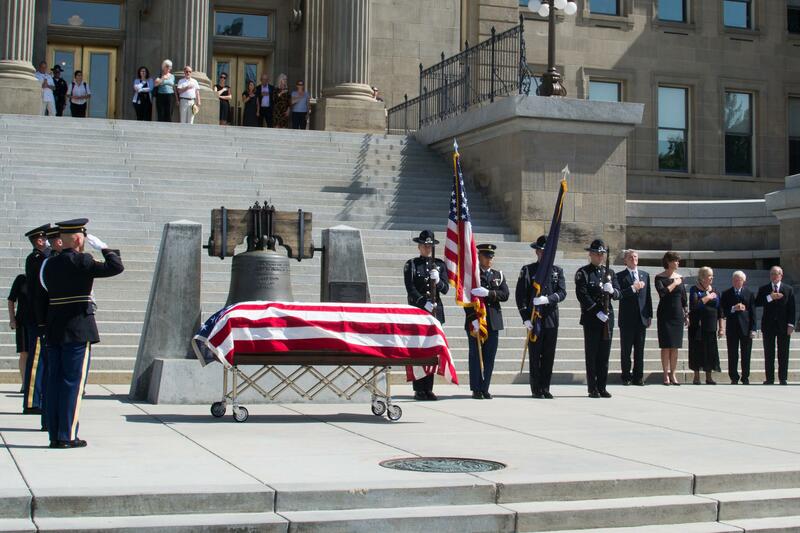 The flag at half staff for Cecil Andrus' lying in state ceremony.